But opponents see it as a slippery slope toward ordaining women to the priesthood. VATICAN CITY — A new survey has found that the majority of U.S. Catholic religious orders believe women should be allowed to serve as ordained deacons, lending support to an issue currently under study at the Vatican amid pressure for women to be given greater roles in the church. Advocates for expanding the ministry to include women say doing so would provide women with greater role in the ministry and governance of the church, while also helping address the effects of the Catholic priest shortage in parts of the world by allowing women to perform some priestly functions. Opponents say ordaining women to the deaconate would signal the start of a slippery slope toward ordaining women to the priesthood. The Catholic Church reserves the priesthood for men, saying Christ chose only men as his 12 apostles. Pope Francis has repeatedly reaffirmed the teaching. Francis did, however, authorize the creation of a commission to study the role of women deacons in the early church in 2016, responding to a request from the International Union of Superior’s General, the Rome-based association representing the leadership of the world’s women’s religious orders. The commission’s work has been shrouded in secrecy and it’s not clear if or when its findings will be made public. In the meantime, the church is pressing ahead with the issue. A recent preparatory document for the Vatican’s 2019 summit of bishops on the Amazon called for church leaders to identify new “official ministries” for women to play in the Amazon, which has been afflicted by an acute shortage of priests. That suggests that the diaconate for women could be on the table at the meeting, though there are other “lay” ministries open to women as well. The CARA survey of U.S. religious orders was conducted from January-May and had a margin of error of plus or minus 3.55 percentage points. About half of the 777 religious superiors replied to written questions and follow-up from researchers. The center said the 385 responses it did receive “strongly resemble” the overall pool of potential respondents. The survey found that 76 percent of responders believed that ordaining women as deacons would benefit the church’s mission. Eighty-four percent believed that doing so would increase calls for ordaining women as priests. 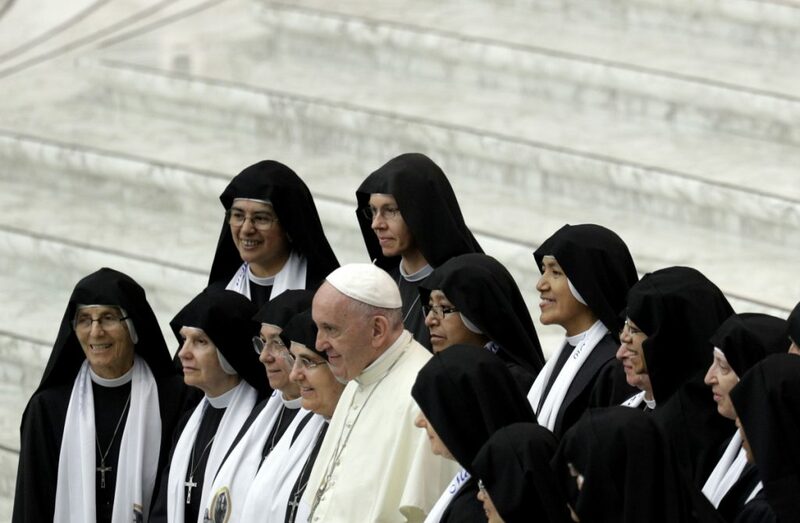 From the start of his pontificate, Francis has insisted that women must have a greater role in the life of the church and greater say in its decision-making – while reaffirming that they cannot be priests. He has said repeatedly that he values the “feminine genius,” that there’s no reason why a woman couldn’t head certain Vatican offices and that the church hierarchy would do well to hear more from women’s perspectives. There are no women among Francis’ senior advisers. Phyllis Zagano, a member of the Vatican’s commission, has written that much of the criticism and confusion over women deacons stems from ignorance about the distinctly separate ministries of priest and deacon, and the erroneous belief that those advocating for women deacons have a secret agenda to ordain women as priests.